Whatever you need, contact us for all your Feature Length and Short Films, Drama, Commercial, Broadcast Television and Corporate production equipment and HD / 2K / 4K / 6K Ultra high Definition camera rental requirements. We offer a huge range of packages to suit all budgets. Delivery to anywhere in the UK! 'I have known Media Dog personally for many years and have always found them professional, passionate and a joy to work with. Always eager to help, Media Dog have many times gone out of their way to assist me with my technical requirements on many of my television and corporate projects. With an industry that is fast changing Media Dog have always been at the forefront of new technology backed up with a supporting knowledge second to none'. 'Media Dog have always provided a reliable, friendly and competitive service – nothing is too much trouble'. 'I found Media Dog Hire very accommodating and patient, they always came up with the goods on the day and at a competitive price. Media Dog not only provided me with a reliable up to date Sony F5 unit with prime lenses, but also the technical back up needed. As a Freelancer your reputation is as good as the equipment you provide so you need a Hire company you can trust, the guys at Media Dog Hire do that without doubt'. 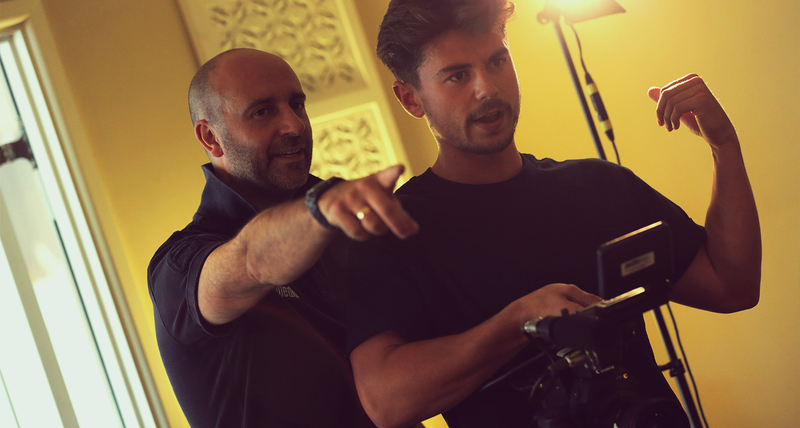 Click here to find out how MediaDog Hire can help you with your crewing requirements. Let us know if there's something you wish you were better at. The friendly and knowledgable equipment hire company, specialising in HD / 2K / 4K / 6K UHD and HDR camera hire, minicam hire and all the associated kit including lighting and sound equipment. We carry a large range of professional broadcast cameras including models from Arri, Sony, Panasonic, Canon, GoPro and Red, we also carry a large range of lenses, grip and accessories. Media Dog is the first choice for many industry professionals, we regularly supply equipment to the BBC, ITV, Channel 4, Channel 5 and a host of independent production companies across the UK such as Tiger Aspect, Big Talk, Lime Pictures. We are based in Scotland, Manchester and Birmingham we service Salford, Liverpool, Leeds, Sheffield, West Yorkshire, Nottingham, Birmingham the Midlands, East Anglia, Oxford, London, Glasgow, Edinburgh, Scotland, as well as nationwide. What's more we won't be beaten on price so give us a call and we will tailor your equipment to your requirements and budget.